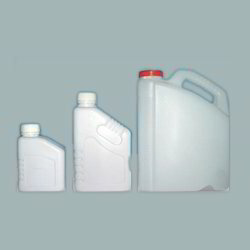 We are offering high quality HDPE Container of higher density and good resistance to chemicals. These HDPE Container are offered in various sizes and dimensions and can also be customized as per the needs of the client. It can be availed at industrial leading price. We are equipped with state-of-the-art CAD facility to offer customers a fast and flexible design service and also to constantly upgrade and customize the products. · Wall thickness at different points to ensure that the material is uniformly distributed. Colour: Available in natural white, Glossy white, Blue. Mouth Size:8" DescriptionWe are manufacturing these carboys from very genuine materials and having good quality reputation and demand for Textile chemicals and all kind of liquid as well semi-liquid products. We are offering HDPE Container to our client.